Bothaville - A proposal by the South African government to limit farm size to 12 000 hectares is a "negotiating tactic" as it tries to press ahead with the redistribution of land to black farmers, Minister of Agriculture Senzeni Zokwana said. "Whenever you are negotiating, you always put forward a figure. What informs the end of that figure is the process of negotiation, Zokwana told Reuters when asked about the 12 000ha figure. Speaking on the sidelines of a conference organised by industry group Grain SA in the heart of the maize belt west of Johannesburg, Zokwana said whatever figure is eventually arrived at, farmers could lease additional land if they needed to for commercial reasons. "This way the farmer will not end up struggling to get funding from the bank," he said. "We must find a balance between the need to transform the industry and ensure that food security is sustained. It would also be good for farmers to come up with ideas that would not put food security at risk," he said. 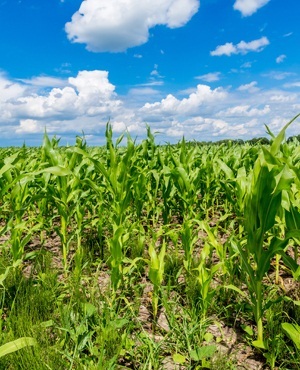 South Africa is forecast to harvest its smallest maize crop since 2007 because of a drought that has scorched large areas and Zokwana said the agriculture department might have to seek funding to ensure imports if they were needed. "Maize is one of our staple foods which our people depend upon so our department would approach other funding agencies," he said. Zokwana did not specify which agencies could be involved. He also said he was putting pressure on the affected provinces - the Free State and North West - to assess the extent of the drought and see if there was a need to declare any disaster areas, which could trigger emergency aid to alleviate the situation. The ruling African National Congress earlier this year said it aimed "to accelerate the pace of land redistribution" by capping ownership at a maximum of 12 000ha or two farms, and barring foreigners from owning agricultural land. It has also floated a vague and poorly explained idea of forcing farmers to sell 50% of their land to workers because "the land must be shared among those who work it". According to experts, 8.2 million hectares have been transferred to black owners since apartheid, equal to 8% to 10% of the land in white hands in 1994.